241 BC Battle of the Aegates Islands – The Romans sank the Carthaginian fleet bringing the First Punic War to an end. 1606 Susenyos defeated the combined armies of Yaqob and Abuna Petros II at the Battle of Gol in Gojjam, which made him Emperor of Ethiopia. 1762 French Huguenot Jean Calas, who was wrongly convicted of killing his son, died after being tortured by authorities; the event inspired Voltaire to begin a campaign for religious tolerance and legal reform. 1804 Louisiana Purchase: In St. Louis, Missouri, a formal ceremony is conducted to transfer ownership of the Louisiana Territory from France to the United States. 1814 Napoleon I of France was defeated at the Battle of Laon in France. 1830 The KNI, the Royal Netherlands East Indies Army, was created. 1831 The French Foreign Legion was established by King Louis-Philippe to support his war in Algeria. 1844 – Pablo de Sarasate, Spanish violinist and composer was born (d. 1908). 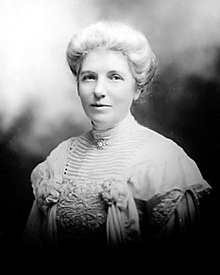 1847 Kate Sheppard, New Zealand suffragist, was born (d. 1934). 1848 The Treaty of Guadalupe Hidalgo was ratified by the United States Senate, ending the Mexican-American War. 1861 El Hadj Umar Tall seized the city of Segou, destroying the Bambara Empire of Mali. 18867 – Lillian Wald, American nurse, humanitarian, and author, founded the Henry Street Settlement, was born (d. 1940). 1869 The New Zealand Cross was created because New Zealand’s local military were not eligible for the Victoria Cross. Only 23 were awarded, all to men who served in the New Zealand wars, making it one of the rarest military honours in the world. 1891 Almon Strowger, an undertaker patented the Strowger switch, a device which led to the automation of telephone circuit switching. 1905 Eleftherios Venizelos called for Crete’s union with Greece, and started the Theriso revolt. 1906 Courrières mine disaster, Europe’s worst ever, killed 1099 miners in Northern France. 1912 Yuan Shikai was sworn in as the second Provisional President of the Republic of China. 1917 Batangas was formally founded as one of the Philippines’s earliest encomiendas. 1922 Mahatma Gandhi was arrested in India, tried for sedition, and sentenced to six years in prison, only to be released after nearly two years for an appendicitis operation. 1933 – Elizabeth Azcona Cranwell, Argentinian poet and translator, was born (d. 2004). 1933 An earthquake in Long Beach, California killed 115 people and causes an estimated $40 million dollars in damage. 1945 The USA Army Air Force firebombed Tokyo, and the resulting firestorm killed more than 100,000 people. 1946 – Mike Hollands, Australian animator and director, founded Act3animation, was born. 1952 – Morgan Tsvangirai, Prime Minister of Zimbabwe, was born. 1952 Fulgencio Batista led a successful coup in Cuba and appointed himself as the “provisional president”. 1957 Osama bin Laden, Islamist and leader of al-Qaeda, was born (d. 2011). 1959 Tibetan uprising: Fearing an abduction attempt by China, 300,000 Tibetans surround the Dalai Lama’s palace to prevent his removal. 1964 Prince Edward, Earl of Wessex, was born. 1969 James Earl Ray admitted assassinating Martin Luther King Jr. He later retracted his guilty plea. 1970 Captain Ernest Medina was charged with My Lai war crimes. 1977 Rings of Uranus: Astronomers discover rings around Uranus. 1980 Madeira School headmistress Jean Harris shot and killed Scarsdale diet doctor Herman Tarnower. 1983 – Carrie Underwood, American singer-songwriter and actress, was born. 1990 In Haiti, Prosper Avril was ousted 18 months after seizing power in a coup. 1995 – Auckland Warriors debuted in the New South Wales Rugby League’s expanded Winfield Cup competition. 2000 NASDAQ Composite stock market index peaked at 5132.52, signaling the beginning of the end of the dot-com boom. 2006 The Mars Reconnaissance Orbiter arrived at Mars. 2017 – The impeachment of President Park Geun-hye of South Korea in response to a major political scandal is unanimously upheld by the country’s Constitutional Court, ending her presidency. "It would be difficult to find even a single country, ruled by Marxists, where the standard of living of working-class people has been as high as that of working-class people in a number of capitalist countries." 457 Leo I became emperor of the Byzantine Empire. 1074 Pandulf IV of Benevento was killed battling the invading Normans at the Battle of Montesarchio. 1238 The Mongols burned the Russian city of Vladimir. 1301 Edward of Caernarvon (later King Edward II of England) became the first English Prince of Wales. 1478 Sir Thomas More, English statesman, humanist, and author, was born (d 1535). 1497 – The bonfire of the vanities occurred in which supporters of Girolamo Savonarola burned thousands of objects including cosmetics, art, and books in Florence. 1795 The 11th Amendment to the United States Constitution was ratified. 1804 – John Deere, American manufacturer (Deere & Company), was born (d. 1886). 1807 Battle of Eylau – Napoléon’s French Empire began fighting against Russian and Prussian forces of the Fourth Coalition at Eylau, Poland. 1812 – Charles Dickens, English novelist, was born (d. 1870). 1819 Sir Thomas Stamford Raffles left Singapore after just taking it over, leaving it in the hands of William Farquhar. 1842 Battle of Debre Tabor: Ras Ali Alula, Regent of the Emperor of Ethiopia defeated warlord Wube Haile Maryam of Semien. 1856 The Kingdom of Awadh was annexed by the British East India Company after a peaceful abdication of Wajid Ali Shah, the king of Awadh. 1856 – The colonial Tasmanian Parliament passed the first piece of legislation (the Electoral Act of 1856) anywhere in the world providing for elections by way of a secret ballot. 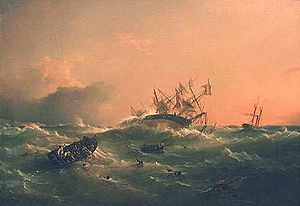 1863 The Royal Navy’s steam corvette HMS Orpheus, bringing supplies and reinforcements for the land wars, hit the Manukau Harbour bar and sank. Of the 259 aboard, 189 died, making it New Zealand’s worst maritime disaster. 1867 Laura Ingalls Wilder, American author, was born (d. 1957). 1870 Alfred Adler, Austrian psychologist was born (d. 1937). 1898 Émile Zola was brought to trial for libel for publishing J’Accuse. 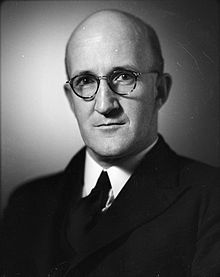 1901 Arnold Nordmeyer, New Zealand politician, was born (d. 1989). 1904 A fire in Baltimore destroyed more than 1,500 buildings in 30 hours. 1907 The Mud March, the first large procession organised by the National Union of Women’s Suffrage Societies (NUWSS). 1922 Hattie Jacques, English actress, was born (d. 1980). 1943 Imperial Japanese naval forces completed the evacuation of Imperial Japanese Army troops from Guadalcanal during Operation Ke, ending Japanese attempts to retake the island from Allied forces in the Guadalcanal Campaign. 1956 Mark St. John, American musician (Kiss), was born (d. 2007). 1962 Garth Brooks, American singer, was born. 1962 Eddie Izzard, British actor and comedian, was born. 1962 – David Bryan, American musician (Bon Jovi), was born. 1962 The United States banned all Cuban imports and exports. 1967 – Bushfires in southern Tasmania claimed 62 lives and destroy 2,642.7 square kilometres (653,025.4 acres) of land. 1974 Grenada gained independence from the United Kingdom. 1979 Pluto moved inside Neptune‘s orbit for the first time since either was discovered. 1984 STS-41-B Mission – Astronauts Bruce McCandless II and Robert L. Stewart made the first untethered space walk using the Manned Maneuvering Unit (MMU). 1986 Twenty-eight years of one-family rule ended in Haiti, when President Jean-Claude Duvalier fled. 1990 The Central Committee of the Soviet Communist Party agreed to give up its monopoly on power. 1991 Haiti‘s first democratically elected president, Jean-Bertrand Aristide, was sworn in. 1991 – The IRA launched a mortar attack on 10 Downing Street during a cabinet meeting. 1992 – The Maastricht Treaty was signed, leading to the creation of the European Union. 1995 Ramzi Yousef, the mastermind of the 1993 World Trade Center bombing, was arrested in Islamabad, Pakistan. 1999 – Crown Prince Abdullah became the King of Jordan on the death of his father, King Hussein. 2009 Bushfires in Victoria left 173 dead in the worst natural disaster in Australia’s history. 2012 – President Mohamed Nasheed of the Republic of Maldives resigned, after 23 days of anti-governmental protests calling for the release of Chief Judge unlawfully arrested by the military. 2013 – At least 53 people were killed when a bus and truck collided near Chibombo, Zambia. 2014 – The opening ceremony for the 2014 Winter Olympics is held in the Russian city of Sochi. 2014 – Over 350 people were injured in the anti-government unrest in Bosnia and Herzegovina. 2016 – North Korea launched Kwangmyŏngsŏng-4 into outer space. Gelt – cash or funds; money.